Welcome... I am Sandrea Mosses, International Medium, clairvoyant, author and teacher, I work in churches and centres in England, Wales and Spain. 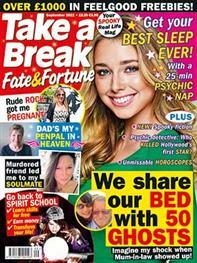 Regular Columnist for Take a Break 'Fate and Fortune' magazine 'A Day in The Afterlife'. Psychic Parties with a difference! For further information send an email.